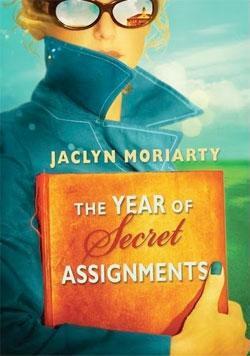 Today Tracey Neithercott celebrates THE YEAR OF SECRET ASSIGNMENTS by Jacqueline Moriarty. Tracey said this about the book: "Still, I didn’t know how Jaclyn Moriarty would tell not one but three stories using nothing but letters, e-mails, and journal entries. But that’s because I didn’t know what a skillful storyteller Moriarty is. I stand corrected. This book rocked." And a whole lot more! Go to Tracey's blog to read her full review!